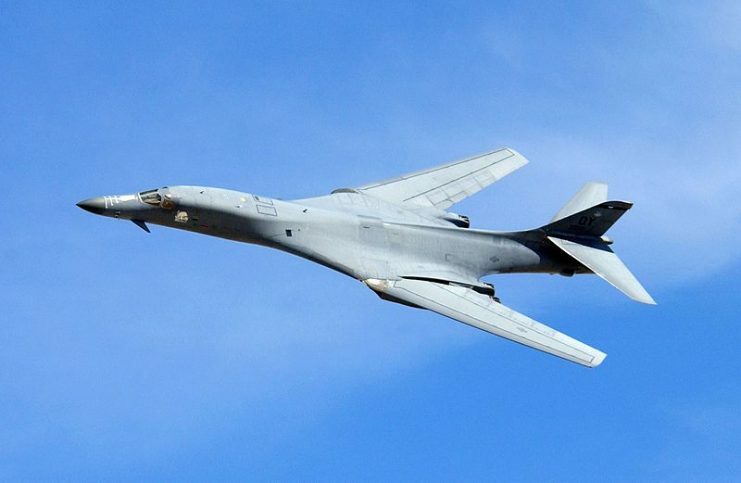 Top view of B-1B in-flight with white clouds scattered underneath. Its wings are swept fully forward as the gray aircraft flies over the ocean. The end of the Second World War should have brought about a cessation of tension, but nature abhors a vacuum in politics just as much as in physics, and the Cold War was a result of that vacuum. The world was in shambles. Europe’s great powers had bombed themselves into oblivion, and the only two left standing were the United States of America and the true victor of the war, the Soviet Union. These two countries were caught in an interminable staredown that would last from 1945 to 1991, and bring the world to the edge of nuclear catastrophe. This period ended due to the influence of capitalism and the advent of the B-1 supersonic stealth bomber. 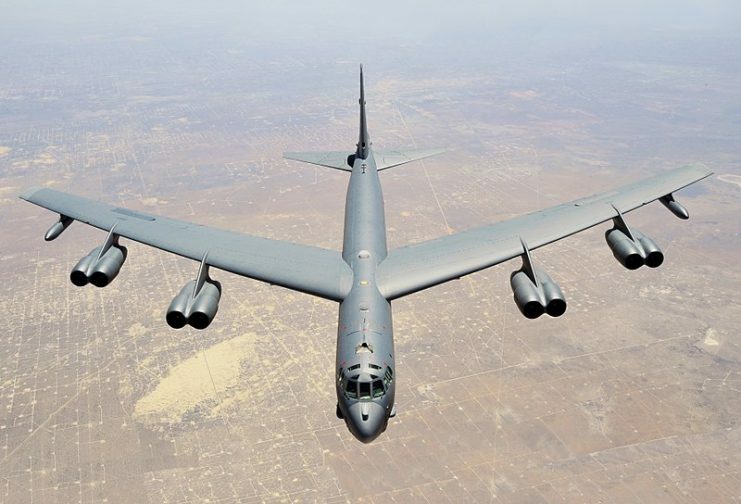 In the 1970s, the general anxiety among the American military elite was that they had lost air superiority to the Soviets, who could launch a first strike against the United States and destroy their B-52 Stratofortress bombers on the ground. 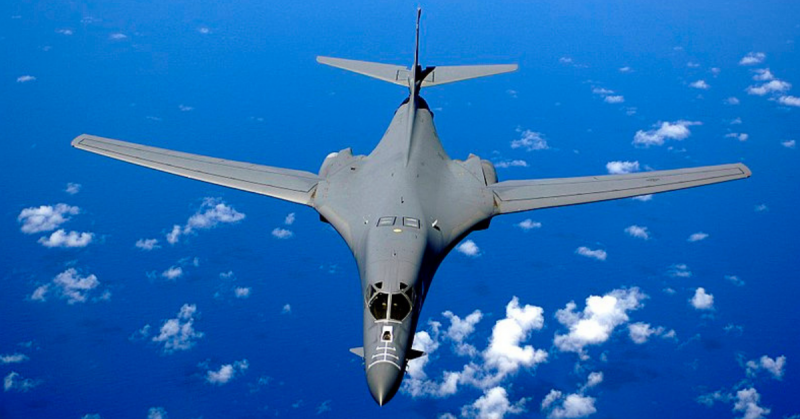 This prompted President Nixon to introduce a program to produce the B-1 bomber, which would have been cutting edge at the time. The abilities of this bomber are nothing short of amazing. It could evade radar, climb to a top speed of 900 miles per hour (1,448 kilometers per hour), carry 22 cruise missiles, ascend to 10,000 feet (3,048 meters) in under two minutes, and fly round trips of eleven-hour duration. It would have given the United States back its air superiority a lot sooner if it hadn’t been scrapped in 1977 by President Carter. But Reagan recognized its importance and restarted the program in 1981. A B-52 Stratofortress assigned to the 307th Bomb Wing, Barksdale Air Force Base. The man behind the program at Rockwell was Sam Iacobellis, the company’s vice president and deputy chairperson. Iacobellis delivered the first airplane to Strategic Air Command in three and a half years, under budget and ahead of schedule, for $220 million. Iacobellis was born on August 17, 1929, in Fresno, California. His father was a first generation Italian immigrant and a farmer, while his mother was a second-generation Italian immigrant born in New York. Sam grew up in Fresno and went on to graduate California State University with a master’s degree in engineering. 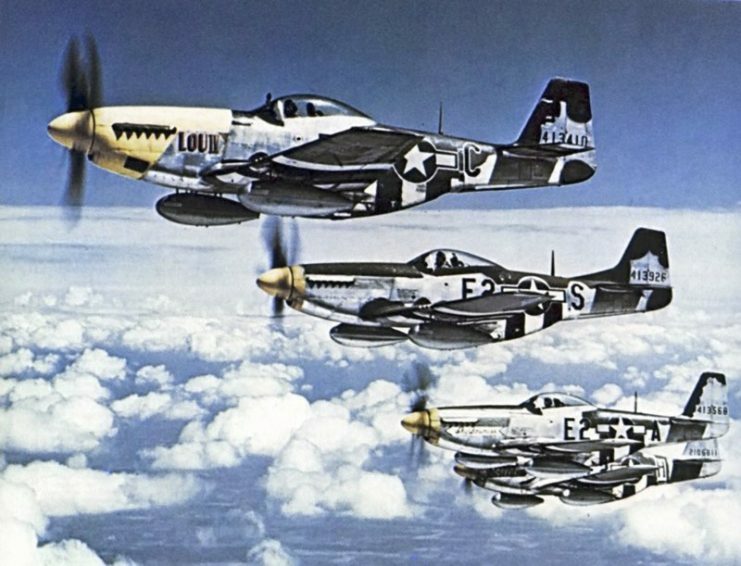 His inspiration to go into aviation was from a cousin who flew a P-51 Mustang in the Second World War. When North American (which was later bought out by Rockwell) came knocking on campus, he answered. He moved to Los Angeles after his graduation and was employed as a draughtsman at the salary of $1.62 an hour. Iacobellis would later say that this interest wasn’t in the money. He even claimed he didn’t know how much they were going to pay him when he took the job, he just wanted to work there. “It was one of the most rewarding experiences one could have because I was capitalizing on all the previous engineers’ work. I was taught to never take shortcuts because the life of a pilot or an astronaut or a crew member is in your hands,” Iacobellis said. Iacobellis retired after 43-years of faithful service as one of the three operating officers responsible for rocket engines, spacecraft, and aircraft operations. He passed away in San Luis Obispo, California, at 87 from complications arising from a stroke on September 10, 2016. He was survived by his wife, Helene, his son, Sam Iacobellis II, his daughter, Lee Ann Schantz, his sister Anna Saladino, and his two grandchildren. 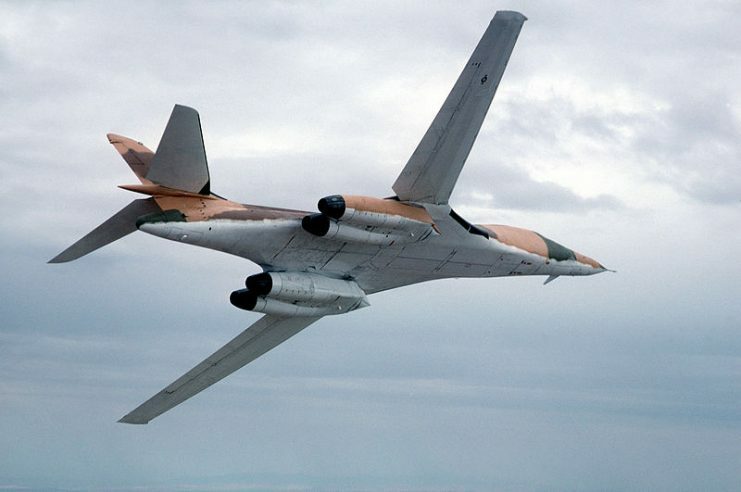 During an interview with the LA Times, Robert Cattoi, a former chief engineer for Rockwell, stated that he had had a conversation with a member of the Russian military who stated that the Russians did not have the resources required to match the B-1B, and this fact may have been one of the leading causes for the end of the Cold War. After the Cold War ground to a halt, General Pyotr Deinekin, the former leader of the Soviet Air Force, traded models of the B-1B and the Soviet equivalent with Iacobellis. Included with the gift was a note stating that they should both be happy that their airplanes never had to meet each other in battle.